Win a Family Hotel Break! Home - News & Events - Win a Family Hotel Break! It’s that time of the year when we all could do with a night away in a luxury hotel. 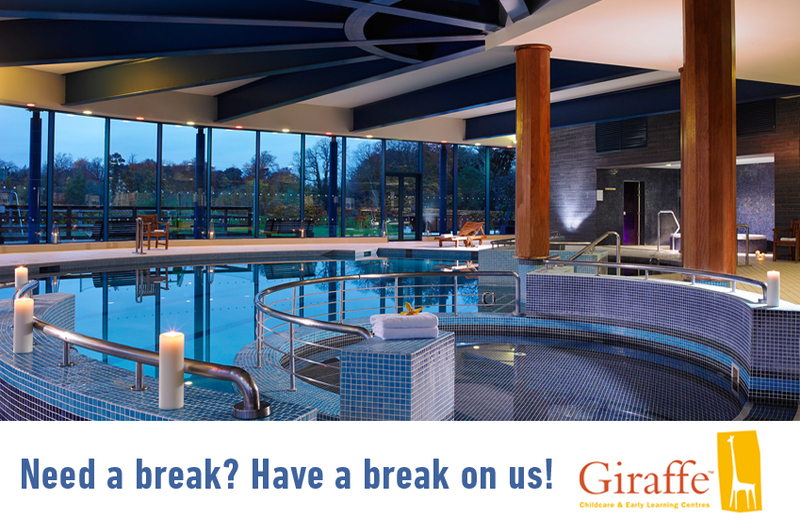 Here at Giraffe childcare we have teamed up with the 4 Star Castleknock Hotel & Country club to treat you and your family to a luxury night away! The 4 star Castleknock hotel in conveniently located just off the M50 in Castleknock in Dublin and boasts a golf course, indoor pool, children’s pool and a health club and spa. It has 3 restaurants along with a coffee shop and bar/lounge. You and your family will also be treated to a family meal on us too! 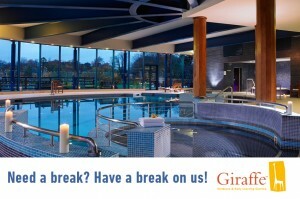 To be in with a chance to win this prize just go to our facebook page https://www.facebook.com/Giraffe.ie and tell us where your favourite break in Ireland is! All email addresses submitted will not be passed to any third party organisations. The competition is open to attending and non-attending parents of Giraffe Childcare. Employees of Giraffe or their family members or anyone else connected in any way with the competition or helping to set up the competition shall not be permitted to enter the competition. Closing date for entry will be 13th February 2015. After this date the no further entries to the competition will be permitted. Winners will be chosen at random from all entries received and verified by Promoter. The promoters decision in respect of all matters to do with the competition will be final and no correspondence will be entered into. Giraffe Childcares decision in relation to selection of a prize winner is final and no correspondence will be entered into.